There is never a shortage of things to do on the Outer Banks of North Carolina. The most popular activities are swimming in the ocean and enjoying the beautiful beaches, but there is so much more! The main Outer Banks Activities can be divided into several categories: Recreation & Water sports, Shopping, Sight Seeing & Culture, and Fun For Kids. Below you will find links to detailed information on each. You never know when you'll need a good Outer banks rainy day activity for the family. Golfing the Outer Banks is more popular now than ever before. There are a great selection of courses on the OBX, with others only a short drive away. Come tee it up on your next trip to the Outer Banks and discover the pleasure of playing golf in the salt air. All families with young kids know it can be a struggle to keep them entertained on a rainy day. The Outer Banks has some great options for children, rain or shine. Educational places like the NC Aquarium and the Elizabethan Gardens to fun things like mini golf and go karts. Feel like trying sometihing new while your on the Outer Banks? You can learn to hang glide or surf. Learn to paddle a kayak like a pro or surf a kite board off the coast. No one said a vacation to the Outer Banks has to be boring. The Outer Banks has some of the most important, and beautiful, active lighthouses in the United States. With four active lighthouses stationed from the Northern shores of Corolla way down South to Ocracoke Island, the OBX is a lighthouse lovers dream come true. From the huge sand dunes of Jockeys Ridge State Park in Nags Head to the beautiful National Seashore of Hatteras Island, the Outer Banks offers visitors amazing parks from which to choose. There is a lot of natural beauty preserved in our OBX parks, so get out there and explore! The fishing piers on the shores of the Outer banks have brought good times (and fish) to adults and children alike for decades. Walk the wooden planks of the many OBX piers and cast your bait into the rich Atlantic waters with locals and vacationers alike. The Outer Banks is one of the world's best salt water fishing destinations. With a huge fleet of charter boats, you can take a group out for half-day or full-day fishing trips and catch the big one. Off-shore fishing around the Outer Banks is an amazing experience an can make for a tasty meal of fresh fish! Resort Realty has been providing memorable family vacations for over 20 years. Nobody knows the Outer Banks better. 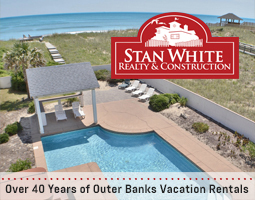 Proud to offer the largest selection of vacation homes and condos on the Outer Banks! Celebrating 30 years of memorable family vacations and real estate sales. With the largest selection of vacation homes on Hatteras Island, Hatteras Realty has the right beach vacation home at the right price for your budget! We strive to provide you with quality vacation homes complemented with efficient, professional, and courteous service. We are here to provide all the help and southern hospitality you've anticipated. 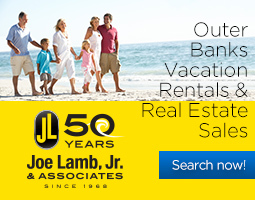 Helping families and friends find their perfect Outer Banks vacation home since 1978. Our rental homes provide luxurious appointments and lavish amenities, and are situated on the beautiful barrier islands of coastal Carolina. 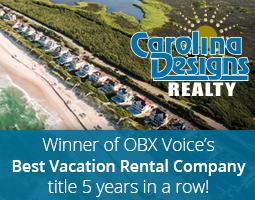 Outer Banks vacation rentals owned by OBX Connection members and expertly managed by local companies.